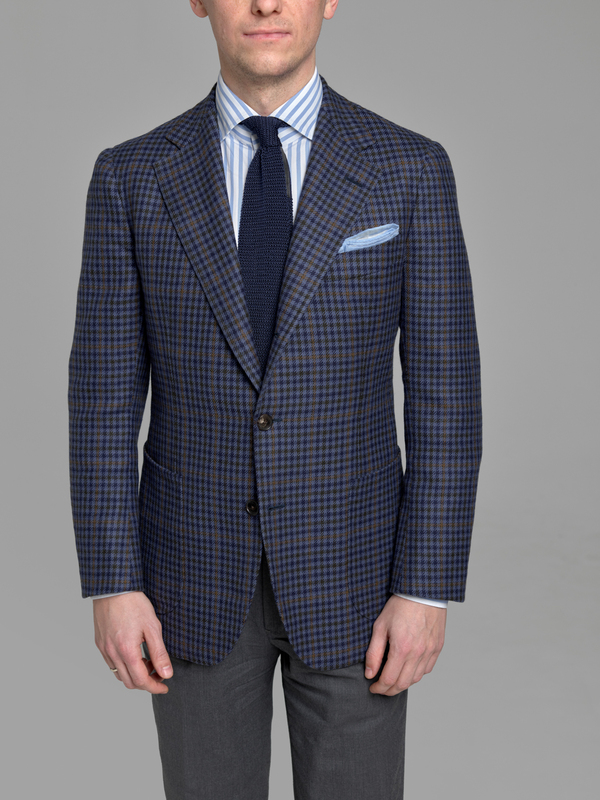 Disclaimer: Zaremba bespoke sport coat was offered to be made for me free of charge. Reviews of bespoke products are tricky. It is a one-off product, made by hand specifically to one’s figure. 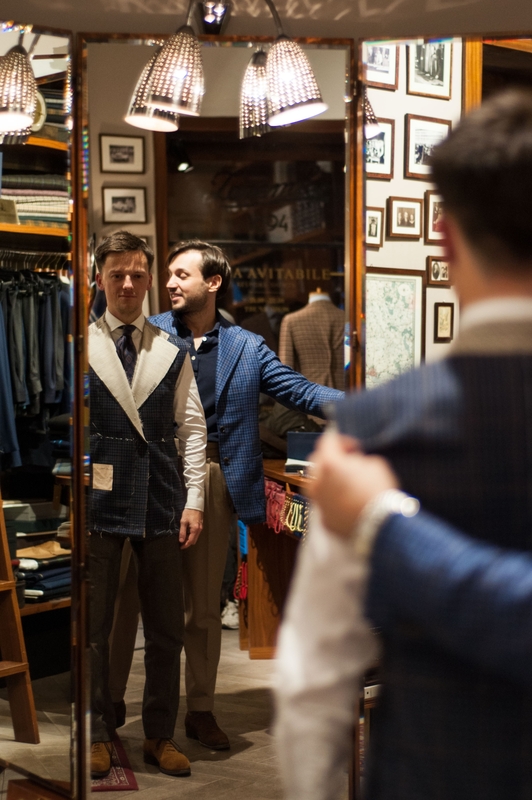 It is therefore difficult to relate the experience and fit of the garments from the same tailor to other people. One successful order does not guarantee the same for different type of body. Yet it is fair to expect that a successful bespoke commission would yield similar results for another person, isn’t it? Well, yes and no. It all depends on our body type and how problematic our figure is. In my case for example there is always an issue with my right pointy shoulder and every bespoke garment I have had made had to deal with it. 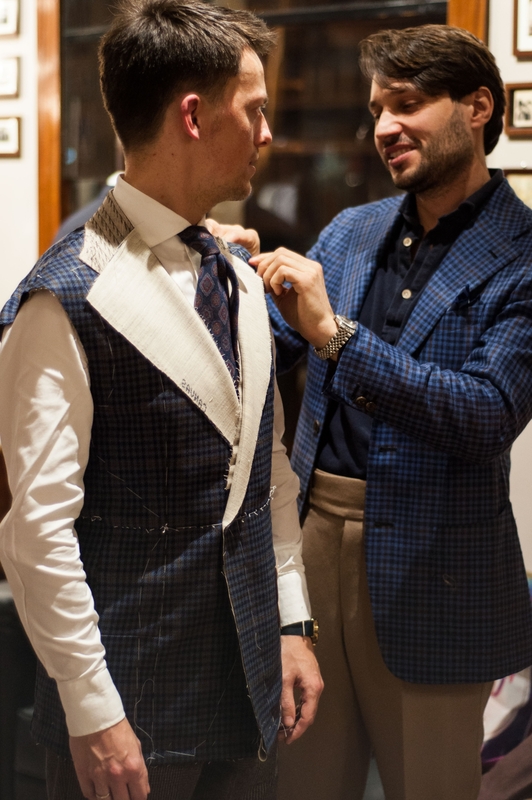 For example both Zaremba (you can read about the first jacket here, here and here, finished jacket is shown during Day 2 here) and B&Tailor improved on the second garment, while Solito did very well on the first one already. 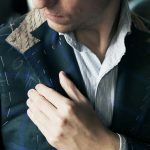 In this post I review the bespoke sport coat made for me by Zaremba bespoke tailoring, Polish tailor located in the heart of Warsaw. I will also grade each of those aspects on a scale 1-10. 10 obviously being perfect and 1 very bad. Please mind that grading is still quite subjective. For one, bespoke jacket for £2000 that still has an issue, no matter how small, would mean 2/10 while I might give it 8/10. My goal is to grade and explain the reasoning. Hope you like the new form of the reviews that become a bit more structured, transparent and fair, hopefully. Obviously, I will be disclaiming all the relationships so that you have the required information upfront in order to judge yourself too. 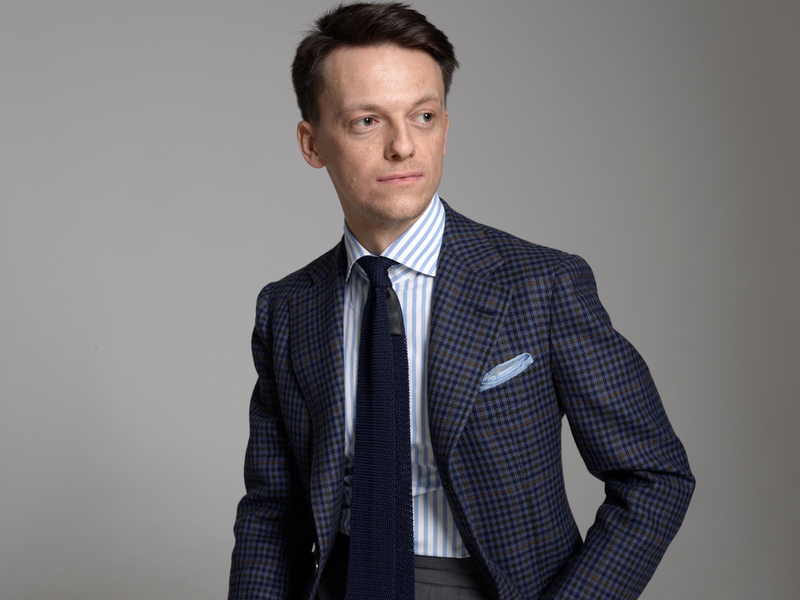 I did select a very special cloth that Maciej Zaremba brought with him from Ariston (Naples). It was only enough of it for 3 jackets if I remember correctly. Sadly for him, as Maciej mentioned, none of them would have been made for a client in Poland. 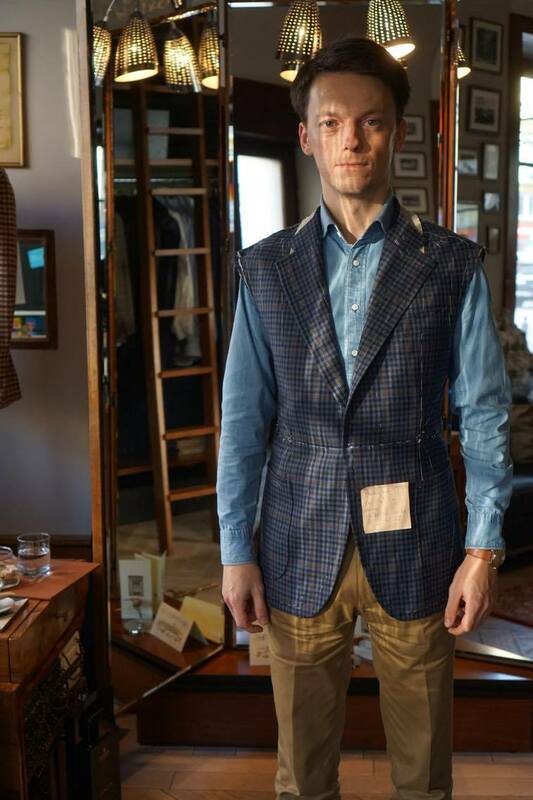 It is a lovely gun club check wool fabric in different shades of blue. It is relatively warm one so very suitable for autumn, winter and spring season. It drapes very nicely indeed. 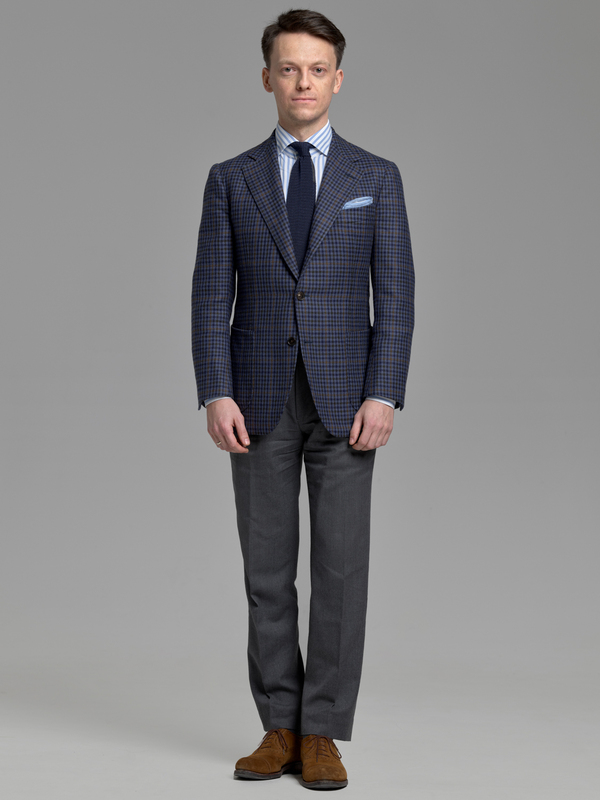 It has been woven in England but comes from Ariston Napoli. It is not too heavy but enough for it to hang down on its own. Milestones for the garment were as follows. The process went smoothly especially during the early stages of the make. I had my first basted fitting in November 2016. Then, because I was only able to visit Zaremba during my trips to Poland I had the second one during Christmas break in early January 2017. 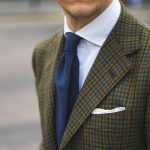 We did the third one (and last) with sleeves during Pitti in mid January 2017. And then there was quite a big gap. It took them a lot of time to finish. There were couple of operational reasons. Then there was summer so Zaremba was not rushing it because I could not wear it anyway. 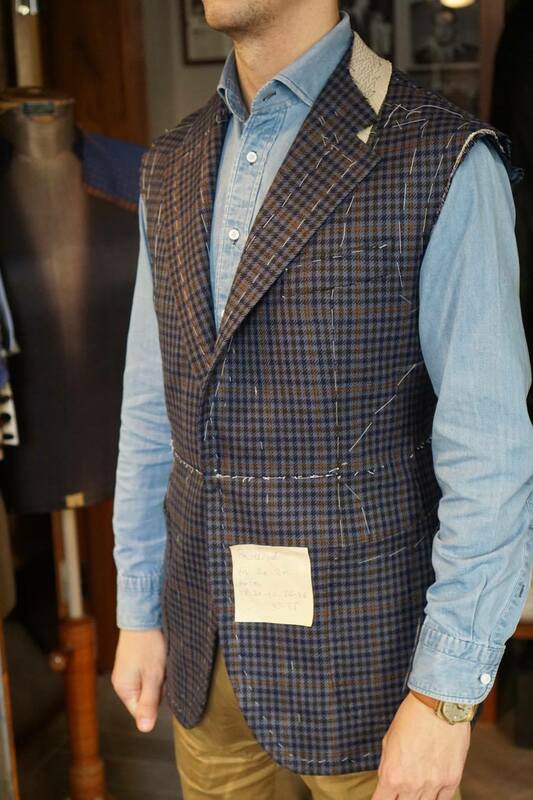 The fabric is similar to tweed and way to warm during summer. However, one could argue that it should have been finished regardless of the time of the year. I am rather cool about it. They could have finished in time for spring maybe but they didn’t. Picking it up just after autumn was a bit late but not the end of the world. I would give the process 6.5/10. It would have been 10 if it was finished in the spring and 9 if it was late summer. Especially considering that the only remaining thing to do was finishing it. No further fittings were required after January. When grading customer service one should mainly focus on the communication. Nowadays with tailors travelling for Trunk Shows, orders being placed online through emails communication is the most important aspect. You arrange your travel well in advance and you expect that tailor to be organized enough to prepare the fitting for you at this agreed day. I never had issues in this regard with Zaremba. He was aware of my travelling and the sport coat was always ready for me when I arrived. Of course to avoid disappointment I made sure that I reminded him few days before arriving about my flight. In the worst cases scenario the tailor has then 2 days to prepare your garment even if he had forgotten. I prefer to be safe than sorry, especially when I am not the local client who can just pop in whenever he wishes. Our main communication channel we used was messenger. Please note that Maciej is a friend and it might look different for completely new customer, it is always easier to track emails then messages. We would also often go out for a coffee, breakfast or very often for dinner every time I traveled to Warsaw. That was definitely a very nice addition to the bespoke process. 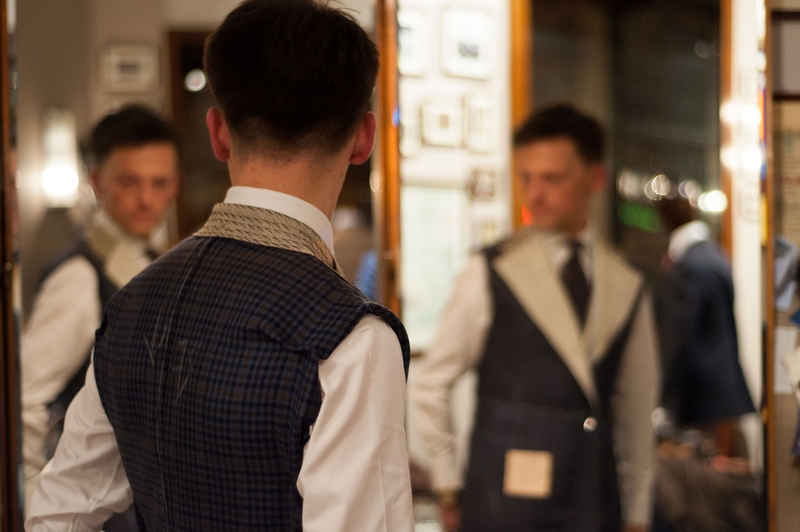 At the same time you have to have in mind, that being the owner of bespoke tailoring house makes you very busy. He must be getting messages from all over the place constantly. As many of us do too I am sure. Remember about it if you expect an instant reply. In my case it was not an issue, but I have discussed with Maciej organisation being the biggest challenge of Zaremba bespoke operations. Following commission progress, the details, fabric choices, communicating it to tailors etc. it all requires a system. Zaremba introduced a computer based one last year and are still trying to improve this. Maciej was not denying that this aspect is what they need to work on hardest, especially in light of few issues they had with a couple of customer’s orders (who doesn’t have them?). I appreciate the approach, even when something does not go as you planned, you try to address it and learn from it. In my opinion Zaremba deserves a very strong 8/10. The fit is really good! 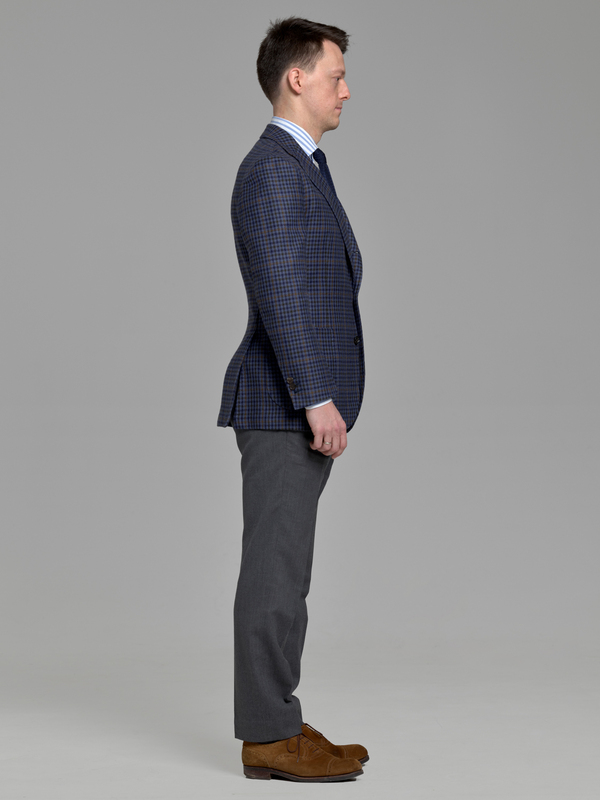 Jacket looks incredibly clean, it has perfect proportions, button positioning and length. 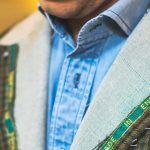 Most important aspects that often are overlooked due to the extravagance of handwork, shirred sleeves and handmade buttonholes. 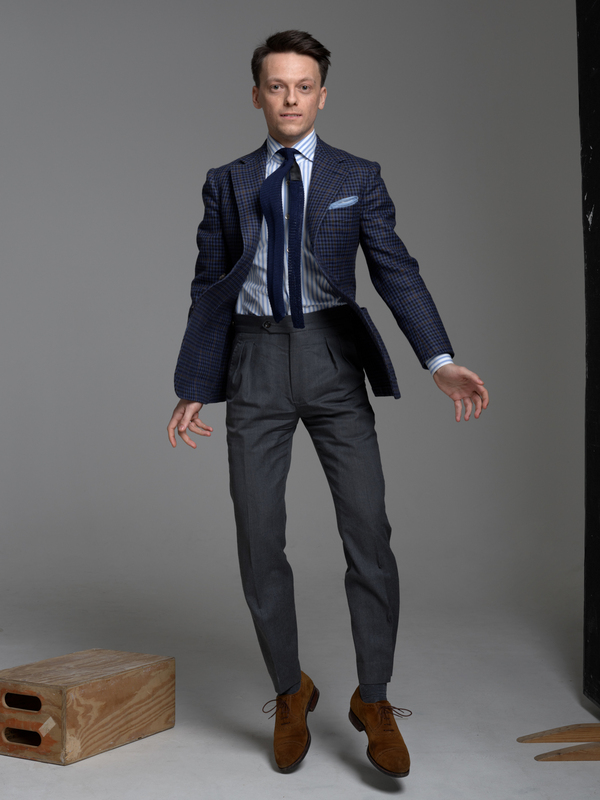 Do not get me wrong, those are important too and should also be beautiful on handmade bespoke jacket but proportions, balance and fit/comfort are so much more important. It is the reason we go for tailored clothes, isn’t it? I would say that this is the length of the jacket that I am more comfortable with. One could call it classic maybe. 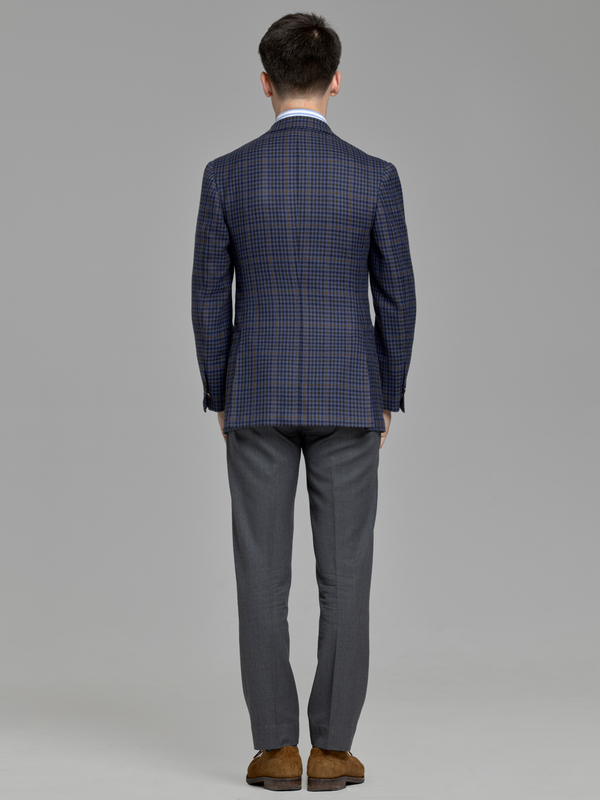 It covers my bottom, button is positioned in my natural waist and sleeves are proportionally wide to my posture. The back is extremely clean. Also due to the fabric that drapes well. The vents could maybe close a little better but that is nitpicking really. The only aspect that could make it perfect 10/10 grade for the fit are the top of the sleeves. I feel like when moving my arms in certain way there is some pulling. Sleeve-head stays in place but there seem to be not enough room at the top of the armhole. It is probably because, unlike others, my shoulder moves forward often rather then rotating. Hand padded lapels roll beautifully. 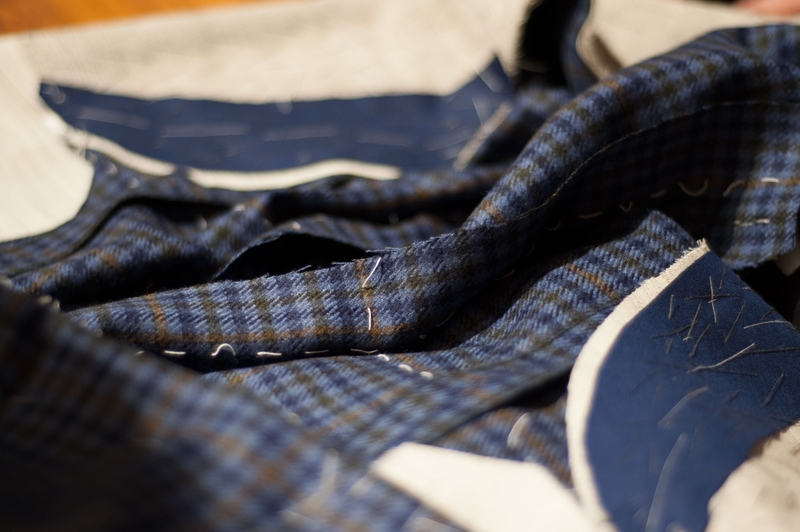 The waist has been made with enough room to allow for comfortable buttoning. 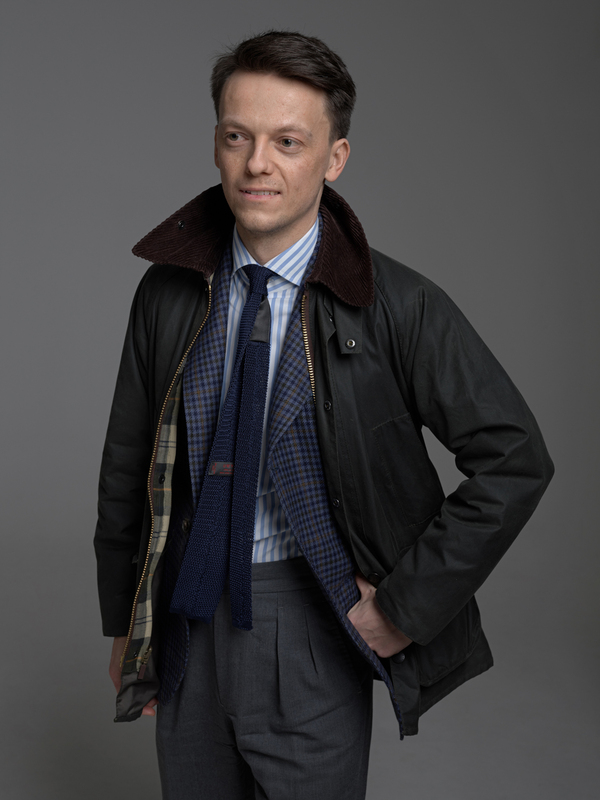 The jacket gently hugs me while still presenting a distinct waistline. Finishing is top notch. 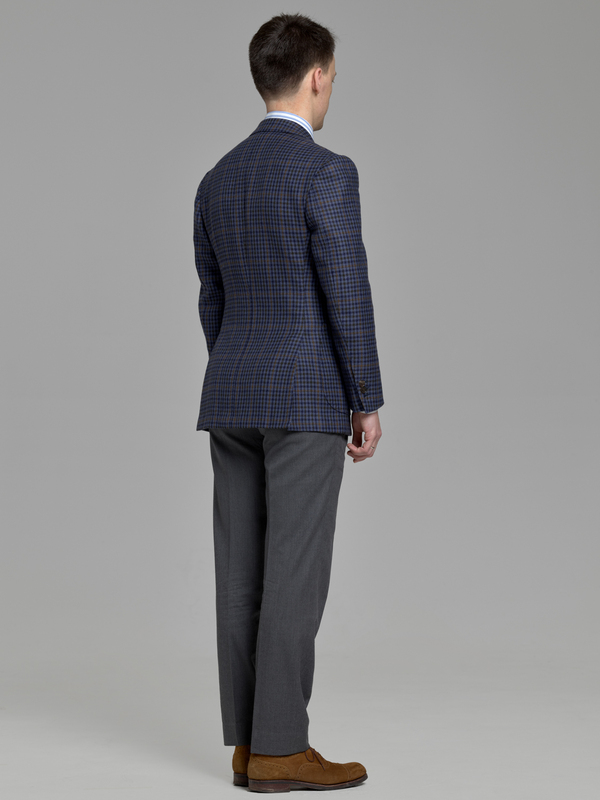 All the buttonholes are naturally hand finished but the highlight of the jacket is its milanese buttonhole. 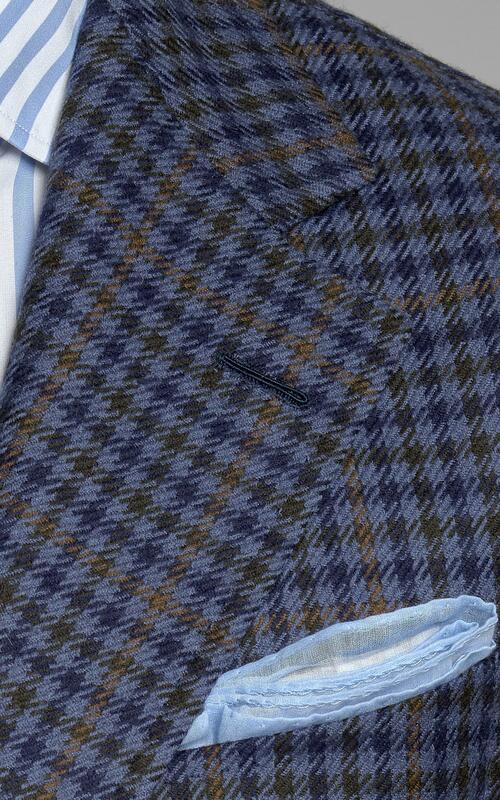 Details like this, executed perfectly make wearing and looking at the jacket a very pleasant experience. 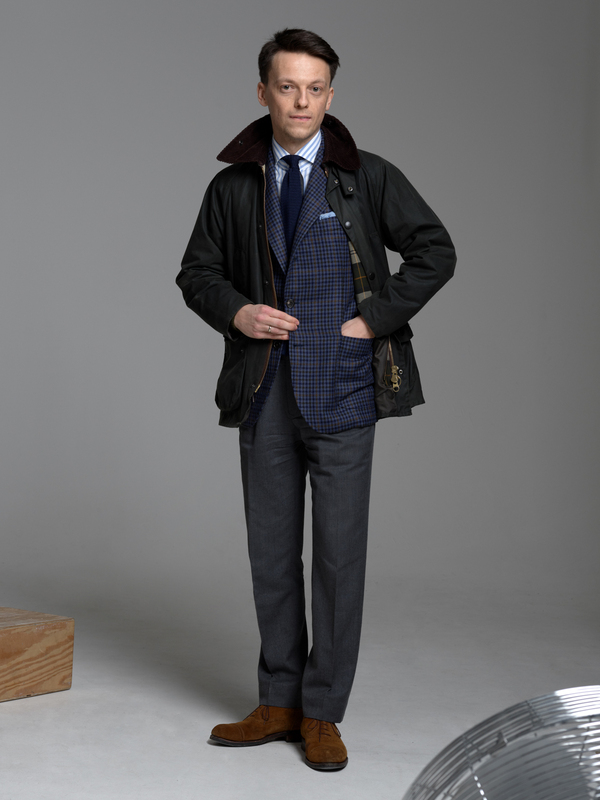 Hand pick stitching, double, goes through lapel, gorge, collar, front of the shoulder and pockets. The check of the gun club fabric is matched perfectly creating a plain like surface. Front dart has been positioned symmetrically just in between two vertical light brown lines of the check. Looking from the side you can see how the back is almost at the same level as the front. The back line follows my slight lordosis with careful attention to my usual short back. Sleeve pitch is also perfect and the shirt cuff shows as the “definition” says: 1.5-2cm. 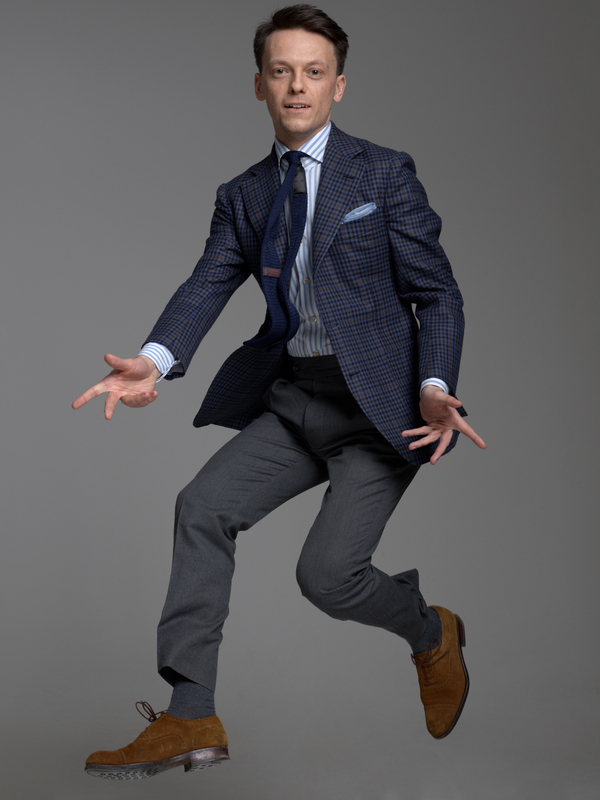 During the shoot, which we organised for the purpose of the review, I was jumping, landing, flexing etc. and there is no collar gap at all. It means the jacket is balanced so that it sits on my back and shoulders, as it should, hugging my neck. Taking all the above into consideration I will grade the fit and finish as 9/10. 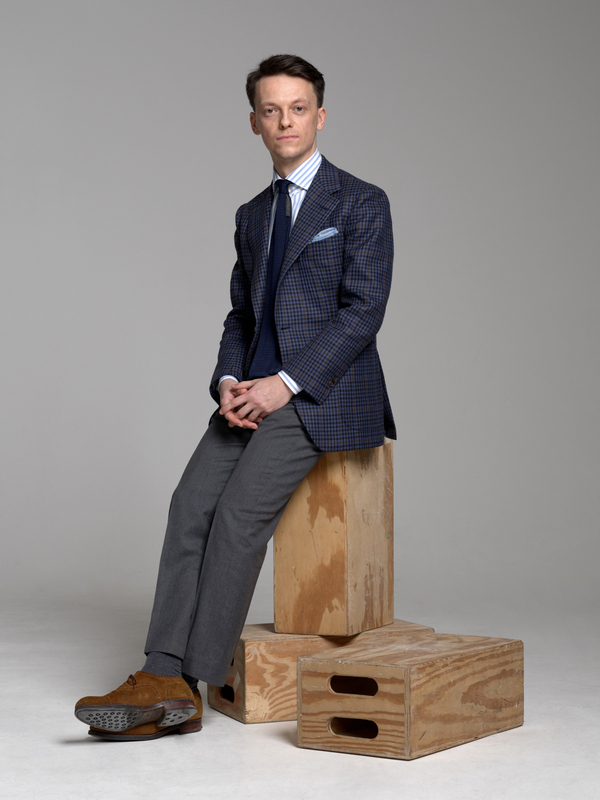 As can be seen in this review Zaremba bespoke sport coat in this beautiful “vintage” gun club check fabric turned out almost perfectly. Subject to those small issues highlighted I would rate the whole process as 8.5/10. 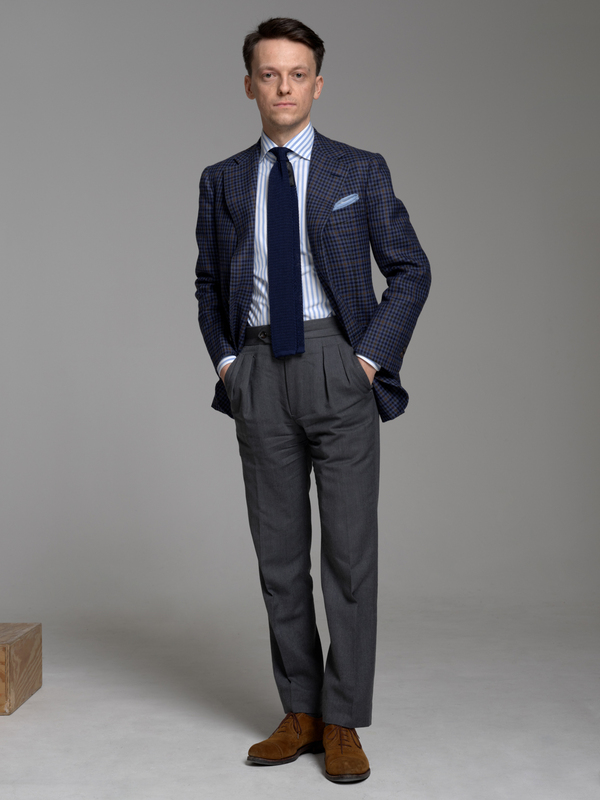 The fit, comfort and finish are at a very high level and I can easily recommend Zaremba bespoke as a tailor. 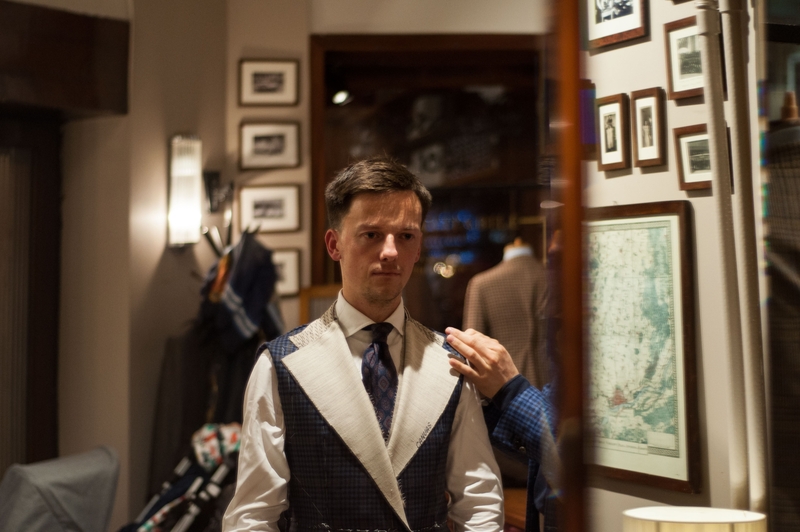 The whole process was managed by Maciej Zaremba during a series of fittings I have had during my trips to Poland. 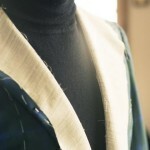 There was also one meeting with the Head Cutter who inspected the jacket at the second (crucial) fitting. 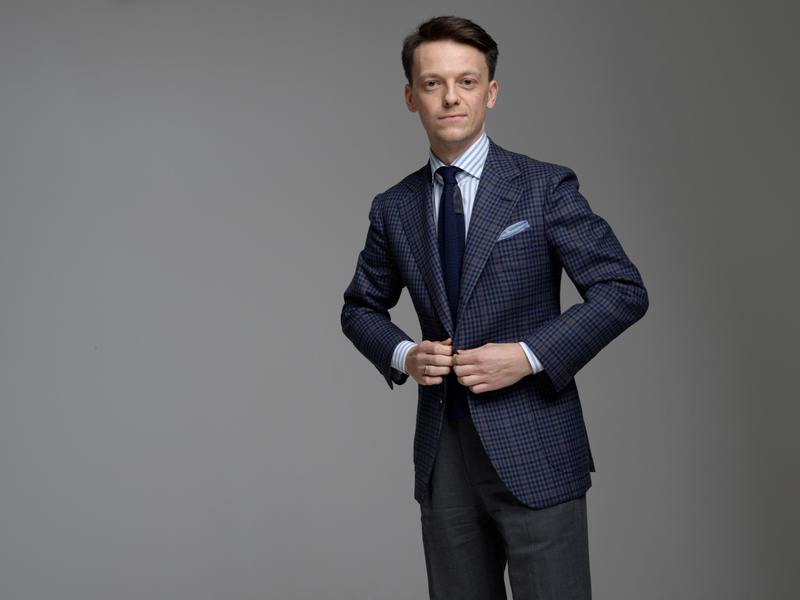 Zaremba bespoke prices usually start about 7000PLN for a sport coat and 8900PLN for a suit, which makes it one of the best as value for money bespoke tailors. If you are interested in placing an order Zaremba is willing to travel to London for Trunk Show. You can email me using the contact page. Please visit their website for further info. Also see more photos below! Hope you find this new review useful. Let me know if you dont or see things to improve. Thanks!